Internet service providers will have to obey the Russian government. Governments do not like VPN services no matter if they are in Europe, Asia or the American continent. 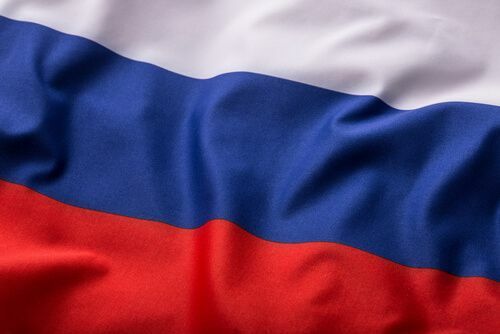 Russia is one country that doesn’t like VPN services (along with anything else the government deems inappropriate). Recently, the government in Russia made a promise to its people. And that promise had the Russian government going after VPN services along with proxy services all over the country. But Russia, along with other governments and online services (like Netflix) don’t just hate any ordinary VPN services. They specifically hate the ones that allow people to watch copyrighted content on their devices without paying for it. Count proxy services in there too. State Duma received a new proposed law that will allow the telecommunication watchdog in the country to search for and identify VPN services who allow consumers to access blocked sites. The new law will also compel such service’s hosts to give up the operators’ sensitive information. If that does not stop people from bypassing government censors then the new law will allow the government to terminate those VPN services and nobody will have any other way to access them. The country’s internet service providers will carry out the actual termination process. There is hardly a country out there that isn’t concerned about more and more people turning to VPN services to guard their privacy and protect their anonymity. In fact, Russia is the only country where website blocking and then unblocking has become a seriously big issue. There are literally hundred of domains in the country which are now blocked. These domains are blocked at the Internet service provider’s level. People using VPN services to consume content that the government deems as extremist material. As mentioned before, there is hardly a country on this planet that does not want to control this VPN problem. No country wants to be without blocking measures. Because then people would consume any and every content that they come across. And that content may present a threat to national security. To protect against this, countries have to implement certain blocking measures. Now, that isn’t to say that the Russian government is the most liberal government on the face of the earth when it comes to allowing people what they want to do. In fact, the Russian government is one of the more controlling governments around. And because of that, more and more people now ask for VPN services and other software which allow them to circumvent government blockades. As a result, the demand for online services such as VPN services and proxy services have increased in the past couple of years. Russia is tired of people bypassing its censorship mechanisms at will. Needless to say, the Russian government is not appreciative of the fact that people want to access sites that it has blocked. In fact, they see it as a form of open resistance. And because it is such a serious issue for the Russian government, it has tried to thwart VPN services and the like for some time now. Mostly with new maneuvers to block people from bypassing web censorship. Most of the measures though have proven themselves to be very limited in their effectiveness. 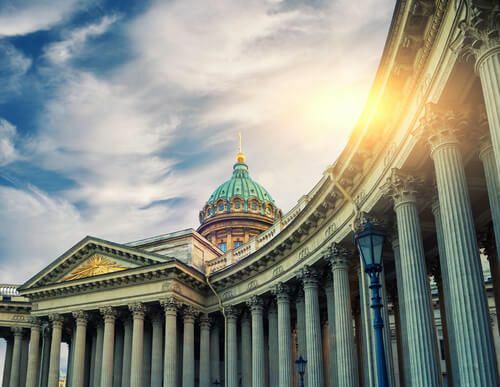 Russian officials developed a new draft legislation earlier this year. 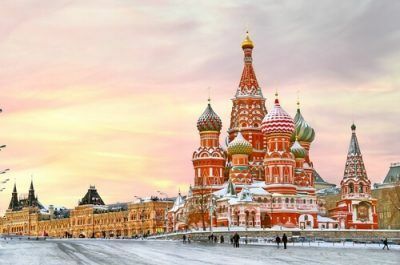 The legislation would allow the government to crack down on online services, systems, and software applications that enable Internet users in Russia to circumvent website blockades. Most of the readers would already know that, in Russia, it is the duty of telecommunication watchdog Roskomnadzor to approve blockades. Earlier this week, concerned personnel submitted a new draft bill to the State Duma. State Duma is the lower house of the Russian Federation parliament. And if the Russian parliament passes the bill, it will essentially destroy the VPN business in the country. The draft law wants to make it illegal for online services and/or otherwise from allowing users to bypass web blockages. This is exactly what VPN service providers do. But the Russian government wants none of that. It wants to stop services that route Russian internet users’ online traffic via foreign servers and hidden/unnamed proxy servers along with virtual private networks (and any other kind of services). The new bill, in its existing form, requires a couple of things. One of them is that it wants the local telecommunication companies watchdog, Roskomnadzor, to regularly keep and update an official list of domains names which are banned. The new draft also wants the watchdog to keep identifying new sites, online services along with software applications that provide users with access to banned domains. Then, it wants Roskomnadzor to send legal notices to the hosts of services that allow users to bypass government blockades. As the new bill currently stands, the watchdog is only allowed to give these hosts a time period of 72-hours to divulge information regarding the identities of these services’ operators. What Happens After The Deadline has Passed? Internet service providers will help the whole of Russia against VPN services, if it comes to that. After the initial deadline has passed (in other words completed), Roskomnadzor (the telecom watchdog) will give the host of these services another time period of three days. During these three days, Roskomnadzor will order the staff operating the services that allow people to circumvent web censorships to stop their activities. Then the watchdog will give these service operators another 30 days to comply with its demands. If these service operators don’t do as required then all internet service providers in the country will block any and all access to the said online service. As per the new draft will, the watchdog will require the internet service providers to destroy the service’s web presence as well. Of course, the online service will have to have an online presence, to begin with before Russian internet service providers can destroy it. Needless to say, the prospects of VPN service providers along with proxy services do not look bright. VPN service providers and proxy services might have to filter out online traffic to government-banned web domains. That is the only way for them to stay online and keep doing their business. Of course, VPN service providers and proxy services won’t filter traffic unless the bill (which has to become law first) forces them to do so. Currently, no one can tell how this new bill will affect Tor users. Only time will tell whether online services such as VPN service, Tor along with many other online services that hide user identify and internet traffic will function in Russia. The new bill is specifically troubling for Tor users. Because in Tor, you can’t really block specific domains. If there is, then no one has found it yet. Or maybe someone has found it but hasn’t bothered to post it online somewhere where a lot of people can see it and then copy it. The new bill will also require internet service providers to block websites that offer software applications that users could use to bypass online website restrictions. Again, websites will have enough time to stop offering those products and tools. If they don’t comply then the telecom watchdog will shut them down. The new bill also deals with online search engines like Yandex and Google. After All, these are the search engines that provide users with links via their huge indexes to banned websites and other online resources (such as Wikipedia). If the proposed legislation gets a pass then the government will force these online search engines to get rid off all such links which link to banned websites. As mentioned before, search engines will have to ban websites which are named in Rozcomnadzor’s online list. The main aim of the Russian government is to make it harder for people to find these banned websites and resources. And the only feasible way it can do that is via banning online services that allow users access to banned websites and by forcing search engines to remove links to banned websites. Of course, Yandex (and probably Google too it if cared to comment on the issue) thinks otherwise. Yandex is of the opinion that if internet service providers block banned websites in the first step then it is rather debatable if those sites and their links would appear in the search engine’s index pages. A Yandex spokesperson recently said that the company deemed it unnecessary for the government to lay the responsibility of denying website access on online search engines. The representative then explained the way how search engines worked. He said that if an online search engine shows a reference to a banned online website or resource, users can’t access that result by clicking its link if internet service providers have already blocked access to that link or website. There is no way for a user to access a banned website via an online search engine if the internet service providers have done their job right. Some People Confuse The Usage Of VPN Services With Piracy. Everybody in the entertainment business hates pirates. Nintendo doesn’t like people who play its decade old games for free. Nintendo along with BREIN are two players who have a fantastic record when it comes to dealing with pirates. Both have targeted pirates in the past and for unnecessary reasons. Now, various reports published in the media say that both are going after a pirate of a unique kind. This pirate sells retro gaming systems. This pirate, a man, has sold a lot of retro gaming systems to people. Most of these gaming systems have thousands of installed official games. Naturally, this has angered the likes of Nintendo and BREIN (that anti-piracy group based in Netherlands). The retro-gaming system is based on Raspberry Pi and is one console that offers several hundred gaming titles which originally came out on older gaming systems. However, BRIEN doesn’t care if the distributed games are old or not. The anti-piracy group says that copyright violations, of all kinds, are punishable by a huge fine and cease of operations. There are probably millions of video game players around the world. Most of them like 3D games. In reality, though, most of these players like to energetically kill people with WW2-era guns and defend flags. And they can’t help themselves much because the world’s leading game developers continue to churn out one AAA game after the other, year after year. But the group of video game players Nintendo and BREIN are after don’t belong to the majority. These are the slightly older gamers who want to relive their younger days via emulation and all it can do to play older games. It is true that you can’t buy older gaming systems. At least not the ones that work. If you have a decent PC then you can emulate an older gaming system. This opens up a lot of possibilities for developers to reanimate hundreds, if not thousands, of older gamers that older video gamers consider as the greatest titles of all time. Of course, that’s a great concept, right? That’s good news for only one set of people. Older video games and some developers who want to make them without taking permission from the likes of Nintendo. The other problem is that these developers make these classic games for free. And users who play these games full well know that they are engaging in piracy. There are a ton of do-it-yourself guides on the internet. 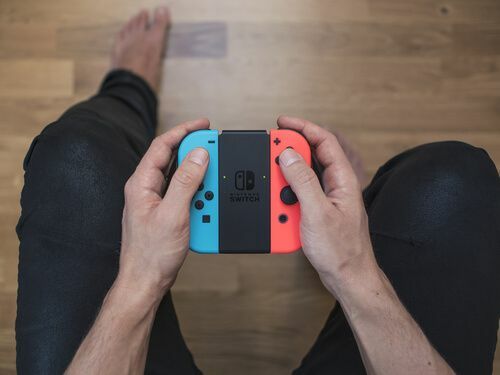 Many people can use these to download gaming emulators and ROMs (the actual games) from various online websites and forums. But who wants to spend all that time setting up the thing right? That’s why some are turning towards these time-saving ready-made retro gaming systems. Truth be told, some of these gaming systems are truly impressive. Some even have the old arcade style machine cabinets. And all of these gaming systems come with thousands of free games. That doesn’t mean these gaming systems come for cheap. They are, in fact, expensive. Sometimes, developers can demand thousands of dollars for one of these gaming systems. So of course there are some cheaper options. To read more about these systems, you can click here.